Wow that is so nice! was the team van a SWB or LWB? mk2panelvan wrote: Wow that is so nice! was the team van a SWB or LWB? I want to take my van to Gatwick and park it in the Transit lounge! 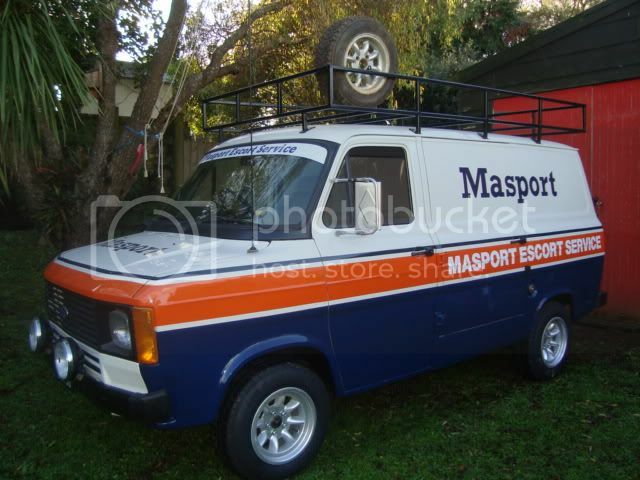 Hi Kiwi LOVE THE VAN MAN would love a set of minilites for my mk2 devon can you tell me where you got them in the uk. Cheers mate Keep up the work. I have changed my rear axle and front hubs on my van, (Ford Mustang Axle/ Falcon hubs), so now i have a common PCD. (Our Transit came out here with the same PCD as the UK vans) Minilite have never made a wheel to fit the MK1/2/3 Transit as their wheel centres are too small to accomodate the STD Transits PCD. It looks fantastic dude. Thanks for bringing it to Concours last weekend. I think you need to put a few shot up of the interior showing the Halda and 2 way radio. I didnt get any photos of the inside at all. Camera battery went flat after the Mrs said it was charged up. Thanks for the invite to the Concourse.... It was the push i needed to finish it off! I'll take some interior pics and post them shortly.